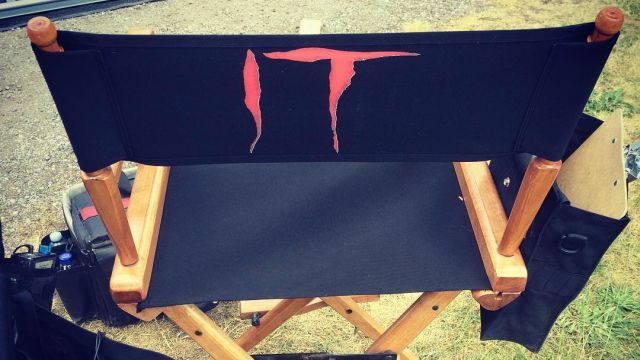 It’s a headline that we thought would never see the light of day: Production on Andy Muschietti’s It is now officially underway. Word comes by way of Instagram (via ComingSoon), where the Mama filmmaker posted a picture of a director’s chair inscribed with the famous, bloody logo synonymous with Stephen King’s horror hit. Simple and to the point, the image heralds the end of a pre-production period lumbered with numerous creative setbacks, after Warner Bros. effectively placed the two-part adaptation on ice once Cary Fukunaga (True Detective) made tracks toward the exit door citing budget cuts and creative differences. One short trip to the drawing board later and It has emerged sporting a flock of new talent. Bill Skarsgard of Hemlock Grove fame recently clinched the coveted role of Pennywise the clown, the nightmarish entity set to terrorize two generations of the Losers Club. That’s because Stephen King’s IT Part One – as it’s tentatively being referred to – will chronicle the formative years of seven Maine children as they ward off Pennywise and all the evil it breeds. Some 28 years later, the same group band together to go toe-to-toe with Pennywise once again – this time hoping to bury the hatchet for good. At the time of writing, Andy Muschietti’s horror feature has assembled Jaeden Lieberher of St. Vincent fame, Finn Wolfhard, Jack Dylan Grazer, Wyatt Oleff, Chosen Jacobs and Jeremy Ray Taylor. It will unleash Bill Skarsgard’s demented clown on the moviegoing masses on September 8, 2017. That’s just the first chapter of Warner and New Line’s two-tier scarefest, though neither studio has locked down a release date for the movie’s second and final installment.